It’s easy to confuse Quickbooks and Quicken if you are unfamiliar with them. It also doesn’t help that their names are almost identical – one can easily assume that since they both start with ‘Quick…’, the two terms talk about the same thing. Without more fuss, let’s talk more about the differences between these two accounting software solutions. Introduced in 1983 by Intuit software creation company, Quicken is a personal finance administration tool. It’s meant to help individuals attain their financial planning and budgeting goals by monitoring their account balances, credit, transactions, investment, and money loaned out. This software comes in different packages such as deluxe, premier, and home & business to cater to the diverse needs of individuals. Additionally, the price of every package varies since each one has a different functionality. For example, home & business is more expensive than deluxe because it caters to both personal and business transactions. Quicken is amazing because it turns your desktop into a personalized financial command center. The software links all of your bank transactions showing you where every cent went. You don’t have to call your bank to confirm certain transactions since everything is displayed by the software. It also enables you to make sense of bank charges and how each withdrawal affects it. Launched in 1998 by the same company that created Quicken, Quickbooks was created to meet the needs of small and medium-sized businesses and not individuals. As a result, this software contains tools such as bank account tracking and reconciliation, accounts receivable and accounts payable management, payroll, invoicing, and payment processing. Additional tools can also be added to meet your personal business needs. For example, if you operate a logistics or manufacturing firm, you can include an inventory management system to keep track of all your goods. Alternatively, if you are in the hospitality industry, you can add online booking management to your Quickbooks. This software acts as your personal assistant, tracking all important financial decisions and preparing reports on command. For example, if you want to know what item was your best seller over the last quarter, this software will help you find that out by comparing sales over different periods of time. Despite focusing on different target markets, both applications have noticeable similarities. For example, both systems allow users to create invoices. Although it’s normal for businesses to come up with invoices, it’s not common for individuals to do so. One may ask, how is this feature relevant to Quicken? Well, think about it this way – as a person, you give out credit to other people either because you trust them or because you’ve seen that they really need the money. In such a case, you need to create an invoice as a reminder to those people. Another similarity is that both applications can be used to identify tax deductions. More often than not, we forget that we are entitled to certain tax deductions. Usually, because we cannot trace a specific receipt or we realize it when it’s too late. For example, did you know that you qualify for a tax deduction on all your office supplies? As long as you can prove that the item was bought for official use, the IRS will give you a tax deduction. If you want to take advantage of your tax deductions, you have to keep track of all your expenses, even those that seem negligible. Luckily, both applications allow you to do that. 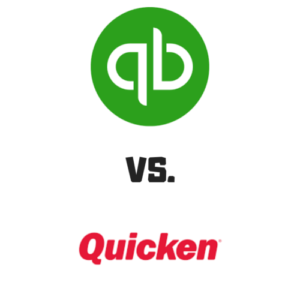 Quicken and Quickbooks are not the same. The latter is used for business finance, while the former is used for personal bookkeeping. In addition, Quicken allows you to track the expenditures of all your family members. However, if you operate a business, you don’t have to operate Quickbooks, you can use Quicken to manage your finances. 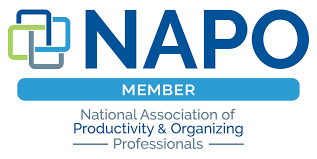 Next » Next post: Can My Small Business Benefit from a Professional Bookkeeper?